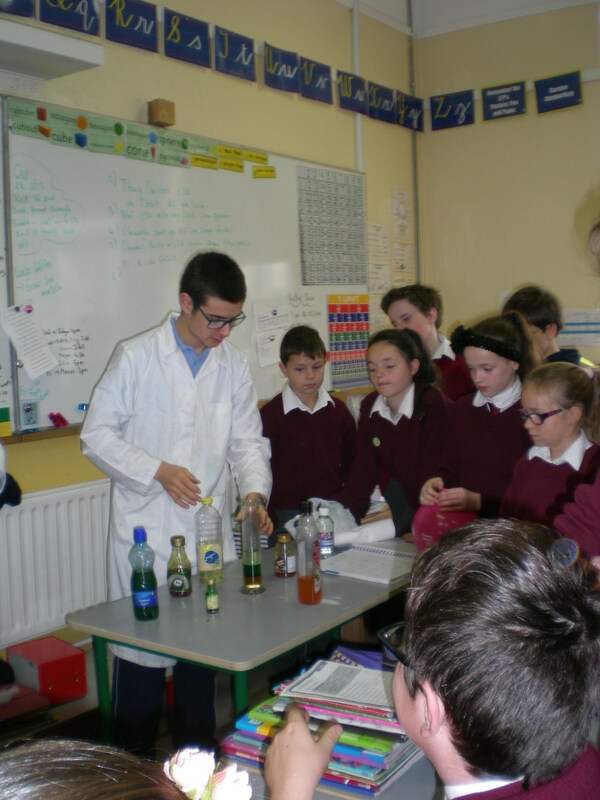 5th and 6th class recently enjoyed science week at Carrick-on-Suir library. During the week pupils were treated to the very special visit by a new lamb. He was very happy touring the classrooms from Infants to Sixth Class. Some pupils in Infants even got to give him his bottle. Bird signs have been erected in the school garden to make it easier for the children to identify common Irish birds who visit us daily! With the help of parent, Eugene McGuigan and secondary student, Jack Connolly, each class now has their very own bird box for the garden birds who come into the school garden. The pupils also put up bird feeders outside the classroom windows so they can now easily spot the feathered visitors to the school. Kevin Collins from Birdwatch Ireland is coming to the school on Tuesday to speak to students from 3rd to 6th about garden birds. He will also make nesting boxes with the senior classes. 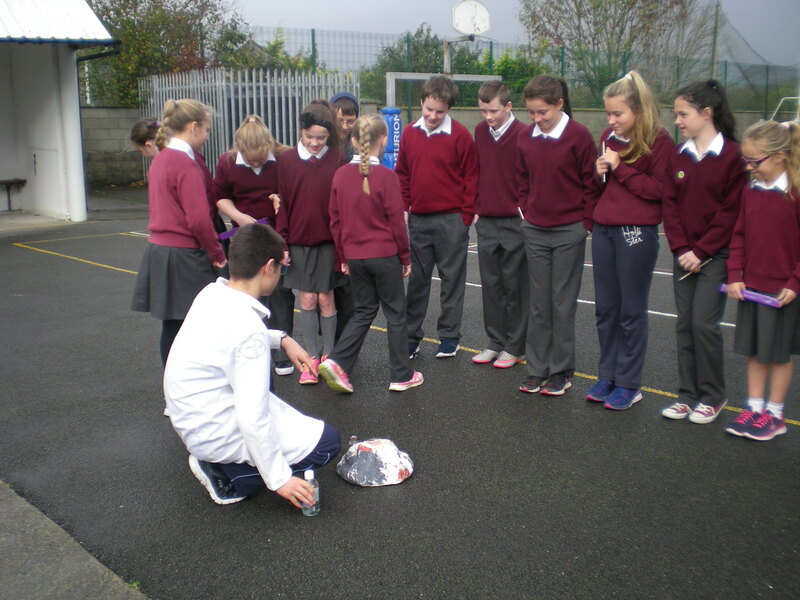 Comeragh College students came in this week to teach science to the pupils of 5th and 6th class. They taught the pupils about the heart, mixing different liquids and showed them what happens when mentos are mixed with coca cola! The class enjoyed it immensely and thought the Comeragh College students would make excellent science teachers!